Welcome to Printingsolo.com. Please review the following basic rules that govern your use of the Printingsolo.com site. By placing an order, you are forming a legally binding contract with Printingsolo.com for products and services and you agree to be bound by the following Terms and Conditions. We encourage you to review these Terms and conditions whenever you use this site. Prices published at the Printingsolo.com website are subject to change without prior notice. Every effort will be made to notify clients of price increases in advance. Published prices at the PrintingSolo.com website are based on clients supplying digital files in print-ready format. Files not supplied as such may be subject to additional cost. Printingsolo.com will only provide 72 DPI (Low Resolution) artwork design files prior to placement of order. Once the order has been placed, 300 DPI (High Resolution) print-ready files will be provided for approval. Please note that all the design files or artwork files must be provided in CMYK format with 300 DPI high resolution for best printing quality and resolution. Failure to do so can result into pixelated and fuzzy images. Printingsolo.com will not be held responsible for distorted or blurry images printed due to the customer provided low resolution artwork files. Printingsolo.com can only cancel the order prior to the printing/shipment. Once the ordered products entered in the shipping process, we are not entitled to cancel it. Orders are cancelable during the different production stages but charges will be applied during different stages. Our representatives will guide you of these cancellation charges. All orders are custom made and print on demand, All Sales are Final. Printingsolo.com reserves the right to rectify defective work by reprinting and shall not be liable to any Refunds or Credits. Printingsolo.com reserves the right to rectify defective work by reprinting. Customers should inform PrintingSolo.com within 3 business days of order delivery of any defects, missing items and damage in the final delivered order with digital pictures of the defective products. Printingsolo.com will not be held responsible for any claims for defects, damage or missing items that are not filed within 3 business days of the delivery date. Printingsolo.com is not responsible for any errors and omissions approved by the Client. The client is solely responsible for errors missed during the proofing process of either artwork supplied by the client or artwork created by Printingsolo.com. Printingsolo.com is always dedicated to print most jobs within 10-12 working days of receipt of job (not including the day the job is received). If a proof is required, turnaround time begins after the proof is approved (not including the day the proof is approved). Please add one additional working day for standard bindery, folding, or assembly. Please note that turnaround time excludes weekends and holidays. Special rush deliveries can usually be arranged but will usually be subject to additional charges. Rush service requires approval in advance by client. Rush services will incur an additional charge in accordance to the size and complexity of the job. We sometimes send shipments from South Asia region depending upon the nature of the order. Printingsolo.com cannot be held responsible for any customs and excise charges that may occur from the import or export of your goods. All the customers are fully responsible for checking all the packages delivered to them for any prominent signs of damages or missing items prior to accepting the delivery from the courier. In the case of missing products or damage, the customer should inform the delivery courier & Printingsolo.com. All the damaged and missing product claims should be made within 3 business days of receiving the package otherwise Printingsolo.com will not be responsible for any loss or damage if not informed within the given deadline. Printingsolo.com is not responsible for any third party shipping errors, omissions or damaged shipments. You acknowledge & fully agree that you shall indemnify and defend Printingsolo.com and all parties from whom Printingsolo.com has licensed portions of Content, and their directors, officers, and employees, against all claims, liability, damages, costs and expenses, including reasonable legal fees and expenses arising out of or related to (i) your breach of these Terms and Conditions or (ii) any suit, claim, or demand arising from or relating to any text, photograph, image, graphic or other material you incorporated into Products that was not part of the standard Site Content. In no event shall Printingsolo.com including its members, directors, employees, representatives, vendors, suppliers, affiliates and subcontractors will be liable for any injury, death, loss, claim, damage, act of god, accident, delay, or any special, punitive, incidental or consequential damages of any kind, whether based in contract, tort or otherwise, which arise out of or are in any way connected with any use of our website or with any delay or inability to use our website, or for any information, software, data, products or services obtained through our website, even if a party has been advised of the possibility of such damages. In no event shall Printingsolo.com be liable or responsible to you for any damages, losses and causes of action including but not limited to negligence, arising from or related to your inappropriate or unauthorized use of this site or its content. 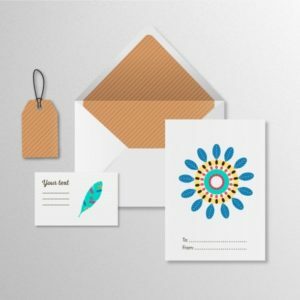 Printingsolo.com always tends to provide excellent service to our customer and also love to get feedback from customers in order to serve them better. All complaints must be made within 3 business days of receipt of the job. Print jobs with manufacturing errors and/or defects will be rerun on the next print run at no charge to the client, at the discretion of Printingsolo.com. Printingsolo.com sole liability shall be limited to reprinting of the order. Unsatisfactory orders as a result of Client errors will be reprinted at a reduced rate.